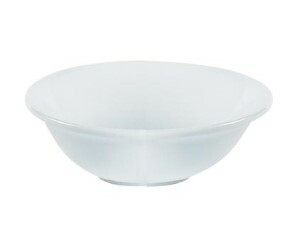 Vitrified Porcelite Oatmeal Bowl. Sold in packs of 12. Vitrified Porcelite dinner wide rimmed dinner plates. 5 year edge chip guarantee. Available in 7 different sizes. Sold in packs of 12.